In February this year, Arc System Works and Hidetaka “Swery” Suehiro revealed that they were working together on something called The Missing, though there were no details beyond that. We know a little bit more now, thanks to a new teaser site and three screenshots—and while that’s still not enough to say what, exactly, the game will be, it does open the door to exciting speculation. To wit: these three contextless screenshots suggest to me that The Missing: J.J. Macfield and the Island of Memories, as is its full title, might just be a surreal mystery metroidvania with lesbian themes. I’m on board with whatever this new project turns out to be, but I’m especially on board of it’s this. Surreal lesbian mystery metroidvania. Be still my beating heart, and all that. The first of the screens shows two women sitting on a log bench beside a campfire, gazing up at a starry night sky with heads resting on one another’s shoulders. It’s clear that they’re close, and while the nature of their relationship isn’t specified, the romanticism of the whole scene definitely screams “lovers” to me. 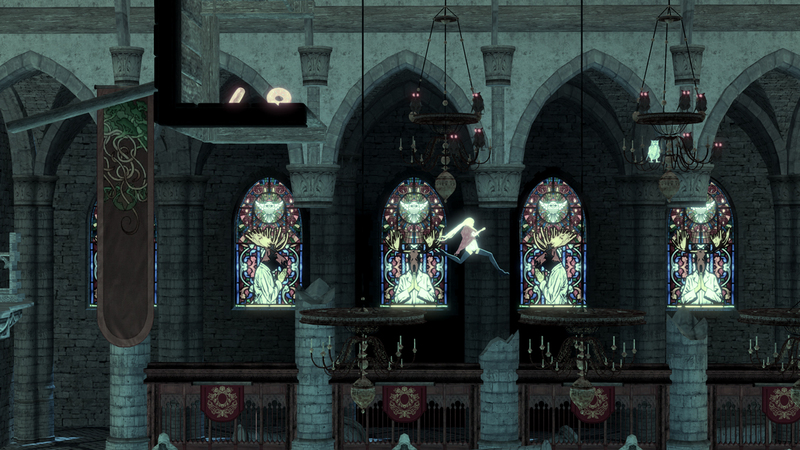 The second shot shows The Missing in action, with a blonde-haired protagonist leaping between chandeliers in an old cathedral. Stained glass windows adorn the wall in the background, drawing on a motif used heavily by the likes of Castlevania and Bloodstained: Ritual of the Night. In the upper left, we can see a platform that looks far too high for the hero to reach, but with treasure waiting to be collected. Perhaps with a double jump or some other sort of upgrade…? The cathedral, the snippet of level design, and the “secret” area hidden in plain sight but (presumably) not yet able to be reached all point squarely to a metroidvania design, or at least inspiration. 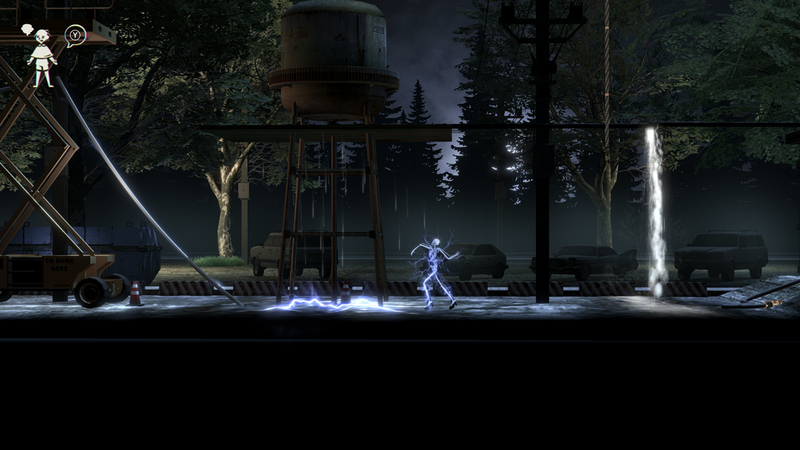 The final screenshot shows a character being electrocuted by a fallen powerline, with other aspects of the environment that are clearly meant to be used by the player to bypass the hazard, like a rope that one might be able to swing from. It also affirms a modern, probably small-town setting, with cars parked near a rickety old water tower and a dense woodland. Suehiro’s love of such settings for surreal, Twin Peaks-inspired mysteries is no secret, so it’s probably a safe bet that The Missing will walk a similar path. Obviously, all of this is still speculation at this point. All we know for sure is that the game is being developed by Suehiro’s studio White Owls, is published by Arc System Works, and is coming to PS4, Switch, Xbox One, and PC this year. Given the second and third screenshots, it’s almost certainly some sort of side-scrolling platformer. Everything else remains a mystery, but if my suspicions ring true and The Missing does turn out to be a lesbian metroidvania mystery, it’ll be a shoo-in for one of the best games of the year.